Invoice discounting is a great way for Scottish firms, and others, to borrow money. It is easy to organise and is suitable for most companies, because there are several different types available. There are thousands of firms who need to borrow money quickly, especially in big cities like Edinburgh, London and Cardiff. Some need to do so to raise money to expand or buy raw materials to fulfil a big order. Others need to borrow money to help them to manage their cash flow. Many firms have points in the year where their outgoings exceed the money that is coming in. Invoice discounting is simply borrowing money against outstanding invoices. Lenders know that most invoices will be paid, so are happy to lend money against them. Effectively the invoice is viewed as an asset and the loan is secured against that asset. Firms from Edinburgh, Glasgow and other parts of Scotland simply have to find a factoring company to approach. They tell the company which invoices they would like to borrow money against. The best factoring firms will tell them within a day or so if they are happy to lend money against those invoices, how much they can lend against each invoice and for how long. Once the terms are agreed, the loan agreement is drawn up and the money is sent to the borrower’s bank account. The money can then be used in any way the borrower sees fit. When the customer pays the invoice, the loan is paid back along with any fees owed to the finance company. The balance of the invoice is kept by the borrower. At this point, the debt is cleared. It is important to understand that invoice discounting is not the same as invoice factoring. They are similar financial products, but they are different in some important ways. With factoring, the creditworthiness of the customers who owe the money is taken into consideration. This means that if you are owed money by a customer with a poor credit rating borrowing money against their invoices could prove difficult, or impossible, in some cases. With discounting this problem does not exist because comprehensive details about the customers who owe this money are not released. The other main difference is that with invoice discounting you retain complete authority of credit control. It is up to you to chase down the debt and ensure that the invoice you are borrowing against is paid. With factoring, the firm who is lending you the money is responsible for collecting the debt. This means that a third party will be speaking to your customers about collecting the outstanding debt. Some firms are happy with this situation, but others prefer to be the only ones to liaise with their customers. For those firms discounting is a better option than invoice factoring. Invoice discounting is usually also cheaper than invoice factoring. There is little or no work for the lender to do, so consequently, their charges are far lower. Who is invoice discounting suitable for? This form of financing is only suitable for firms with a proven record of collecting debts successfully. Most factoring firms will not consider invoice discounting for firms who allow debts to mount up or invoices to be regularly paid late. Practically any type of firm can borrow money in this way. If a client owes you money, you can approach a factoring company to borrow against that invoice. However, some factoring firms only lend to companies with annual turnovers above a certain level. They will also not lend to companies who extend credit to their customers beyond 90 days. Most firms ask for their invoices to be paid within 30 days of issue, so most firms fulfil this criteria anyway. How much is lent against each invoice varies. At Invoice Finance Scotland we will lend up to 85% of the money due on any invoice. If a customer owes a firm £1,000, up to £850 can be borrowed against that particular invoice. If the outstanding amount is £500, the loan can be up to £425. There are several different kinds of invoice discounting available. It is worth familiarising yourself with each kind. Doing so will allow you to buy the product that best suits your needs, and increase your chances of being able to borrow money this way. There is always a danger that a customer will not pay their invoice. In this situation, the money borrowed against this invoice is still owed. It does not happen often, but it can and does happen. Fortunately, there is a way firms can protect themselves against this eventuality. They can choose to take out insurance against this eventuality. In the trade, this is known as bad debt insurance. Discounting done under this scheme is called recourse invoice discounting. It is possible to arrange finance using invoices that have been issued in a range of currencies. Many firms have overseas customers, so being able to raise funds against all of their invoices is important. If you do not want others to know that you are borrowing money against your outstanding invoices you can arrange for your details to be kept confidential. The person who lends you the money may also wish to remain anonymous. For some firms, not telling the market they are borrowing money is important. Firms with lots of outstanding invoices from various sources are a more attractive proposition for lenders. The risk is spread better than if a firm wants to borrow against outstanding invoices from one customer or just a few. 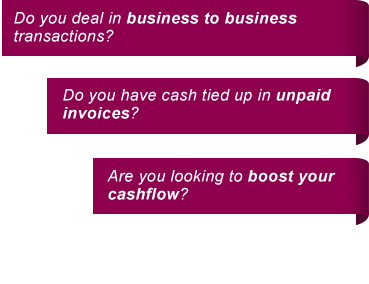 You can find out more about invoice discounting from us. At Invoice Finance Scotland, we offer firms a wide range of financing products. You can talk to us on the phone, via email or come into our Glasgow office to discuss your needs. The service we offer can be tailored to meet the needs of most businesses. Most of our customers are Scottish firms, but we lend to companies from across the UK and beyond.